What if there was a drug that allowed humans to never need to sleep, and what if that drug had never been properly tested? To make matters worse, what if the guy who created the drug was your dad? 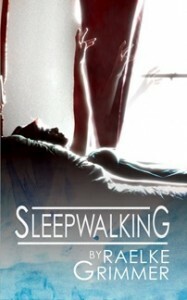 Sleepwalking is the debut young adult novel by one of Lip‘s favourite writers and book reviewers Raelke Grimmer….